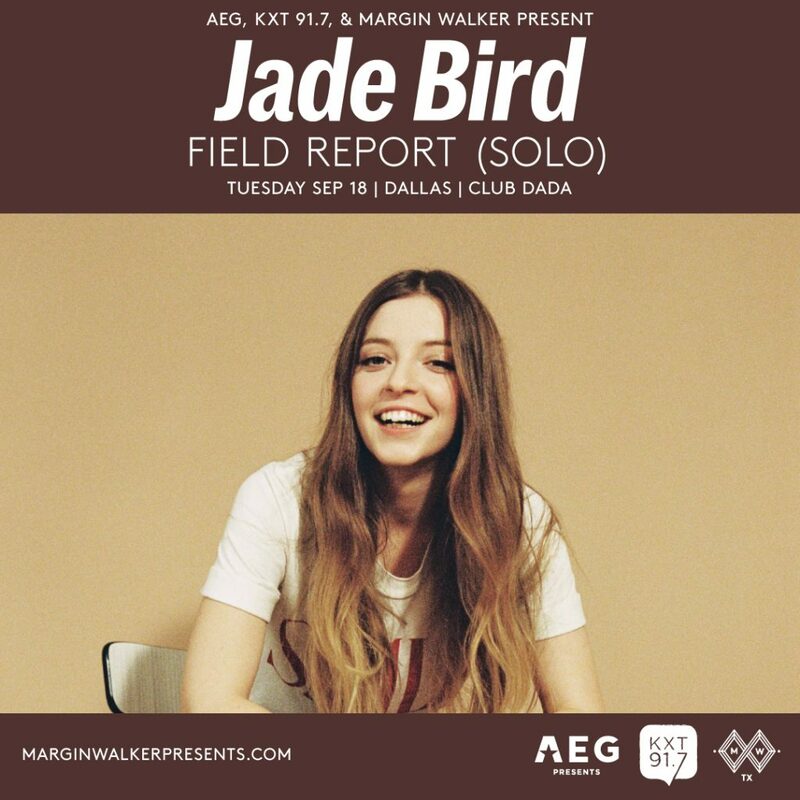 Enter before midnight on Monday, August 20 for the chance to win a pair of tickets to KXT 91.7 Presents Jade Bird on Tuesday, September 18 at Club Dada in Dallas. Winners will be notified by 5pm CT on Tuesday, August 21. Official KXT contest rules can be found here. Good luck!